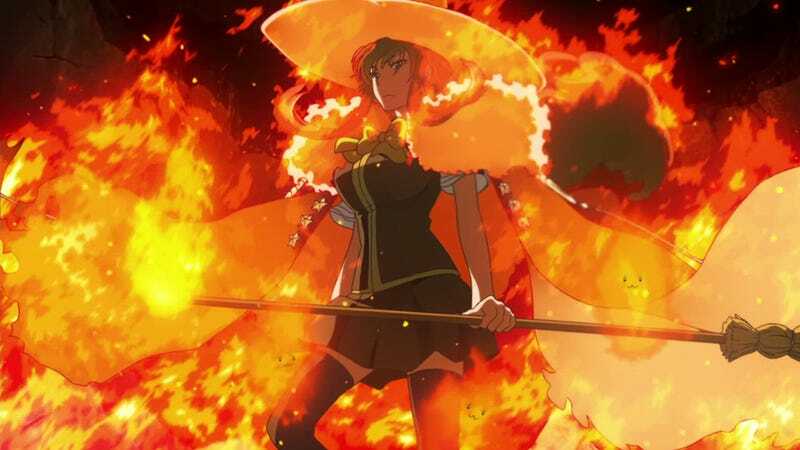 In recent days we had quite a few people posting recommendations and Highlights of what they thought are the best Animes for this Winter 2014 Season. We got Dex and Fruity's Top 5, Koda complemented the list with 6 more, and Richard Eisenbeis ended up with his Top 5. The last one is of particular interest since he set up a poll (still open it seems) as a way to get to know what other people were watching, and narrow down the choices. Also it seems like they did this on pairs, Richard and Koda choices are almost identical except for 1 (Wizard vs Soni-Ani) and Dex and Fruity have 3 series in common. But the only constant was The Pilot's Love Song, a series that placed 14th on the poll. But as you can see, most of the series recommended actually are not that high ranked. Mmm who would've thought. So yep, Polls are interesting don't you think? Seitokai Yakuindomo*: Hit or Miss perverted humor, but when it hits, it is one of the must funny Anime out there.